OMG last night’s episode, “Farewell Daddy Blues,” was bananas! The season finale was awesome to say the least and really we cannot expect anything less than perfect from this show. The writing is impeccable and can’t be matched; their ability to tell and weave so many stories into one episode each week can’t be beat. Nucky finally came head to head with Eli and literally put a gun to his head, to which Willie interrupted and set that play awry. The question still remains would Nucky really have pulled the trigger or was it just a scare tactic? My feeling is that he would have killed him for having almost ambushed him. Knox was obviously really pissed off when he realizes that the supposed meeting doesn’t take place. Eli was ready with a wire and the room was set up to listen in on them, but of course Nucky has his ways of finding everything out and he knew something wasn’t right. IT seems as though Knox has issues with everyone, no one really believes in him or wants to see him succeed, or at least that is what his paranoid mind thinks. Hoover has issues with him, it’s almost as if he can’t stand him, but who can? The other agent thinks he’s off his rocker and asks him to turn in his weapon because he is unstable after discovering that Eli did not show up at the hotel room for the tap in as planned. He proceeds to rectify the situation by going to Eli’s home, allowing himself in the house due to the fact that his wife believes he is an insurance salesman. This time around she senses that something isn’t right and asks Eli what the hell is going on. Eli and Knox go head to head in one of the grittiest, well made fight scenes I have seen so far on this show. It was very Scorcese-esque (yeah I just made that word up), with lots of screaming, choking and fighting all wrapped up into one. Eli in a rage does the unthinkable and kills him. I guess Knox didn’t realize he was dealing with real gangsters, that or he was just too presumptuous to think that they would never turn the tables on him. With his tightly pursed mouth, every week he grew more annoying, but I have to say any actor who can make the viewer hate the character as much as we hated him shows us what a good job Brian Geraghty did with his portrayal. Let’s move to Chalky land now, O M G, that’s all I can say about him and Narcisse coming head to head. 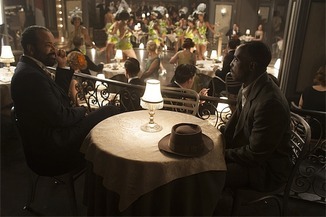 Nucky makes a deal with Dr. Narcisse to allow Chalky to come and meet with him at the club, on the premise that he has information about Daughter Maitland. 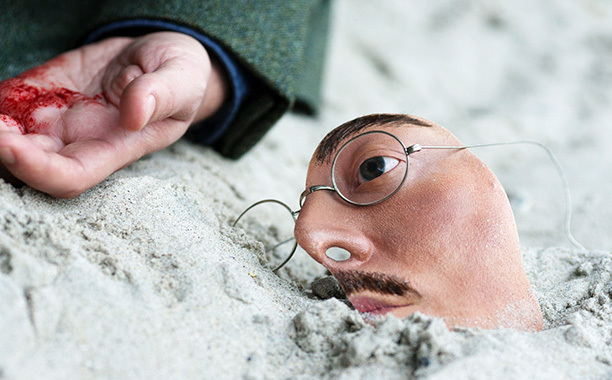 Nucky calls in a favor to Richard Harrow, since he gave a tip to the police to the whereabouts of the body of Jimmy Darmondy. This leaves Gillian in jail and Harrow and his wife free to raise Tommy. 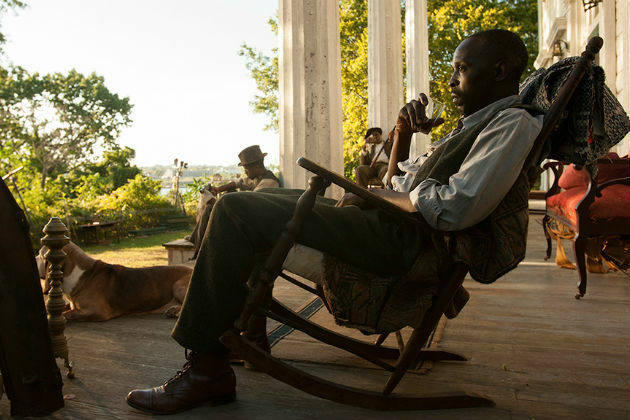 When Chalky and Dr. Narcisse sit down to speak, Narcisse says that he has leveled the playing field and he must tell him where Daughter Maitland is or his daughter, Maybelle, will be on the line as well. Harrow positions his gun, from the top, where he is acting as the sniper who will take down Narcisse, and in the moment of repositioning his fingers accidently shoots Chalky’s daughter. She comes into the scope’s view at the last second and she dies in awful death in front of Chalky’s eyes. Gasp, I really just started crying at this point. In the middle of all this shots are fired and Harrow is shot. He makes it to a spot under the boardwalk, where he lays to dream and die. Seriously I was so sad at this point; he was my favorite character hands down. Let’s get to Chicago now, Joe Torrio is corned and gun down, most likely by Al Capone who believed he was a conspirator in the shoot out that happened last week. Surprisingly, he lives and tells Capone that this gangster life is for the young and he is retiring and passing it on to him. In that moment, does Capone feel bad for what he did? I am sure he does not as he is the most ruthless thus far. Agents know that Knox has been killed and are charging Eli with his death. 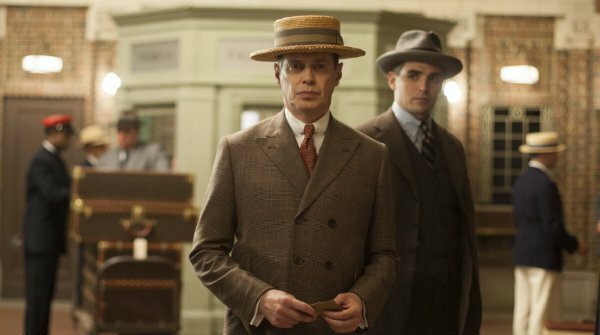 Nucky, being that he still is his brother, shows his true colors and helps Eli go into hiding. Van Alden pulls up to pick him up, looks like he is going to Chicago! In the end, we also see a scene of Margaret moving into her new rent free apartment with her kids, with Rothstein in tow with the new keys. Where will this relationship go? Off his rocker, literally Chalky returns back to Oscar Boneau’s home and takes his space in the rocker he once sat in. Throughout the whole episode, I felt like we were replacing the old with the new version. Chalky/Boneau, Nucky/Willie, Gillian/Julia and Torrio/Capone. This reformative nature of one person transforming into the new version, better than the last is what seems to be cropping up. Now we will get to see how all of these worlds are going to collide and connect even more. What will happen with Chalky? How will he deal with his death? 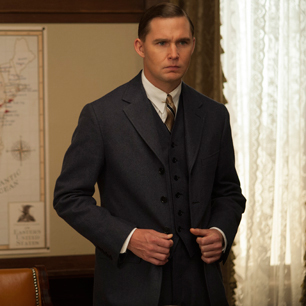 As for Willie, will he be of more assistance and delve deeper into the gangster world by Nucky’s side? There are so many questions left to be answered and if we know anything about Boardwalk Empire, we know that next year will be even better.